Brandon Burlsworth (Christopher Severio) is perhaps the greatest walk-on in the history of college football. Brandon dreamed of playing for the Arkansas Razorbacks, but was told he wasn’t good enough to play Division I ball. Undeterred, Brandon took a risk and walked on in 1994. Written off by fellow teammates and coaches, Brandon displayed dogged determination in the face of staggering odds. The awkward kid who once was an embarrassment to his teammates and an annoyance to his coaches, ended up becoming the most respected player in the history of the program, changing the lives of all he touched. 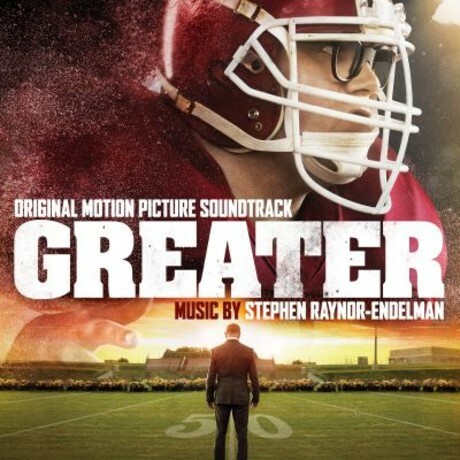 The movie soundtrack of Greater will be released on August 19, 2016 by Lakeshore Records.